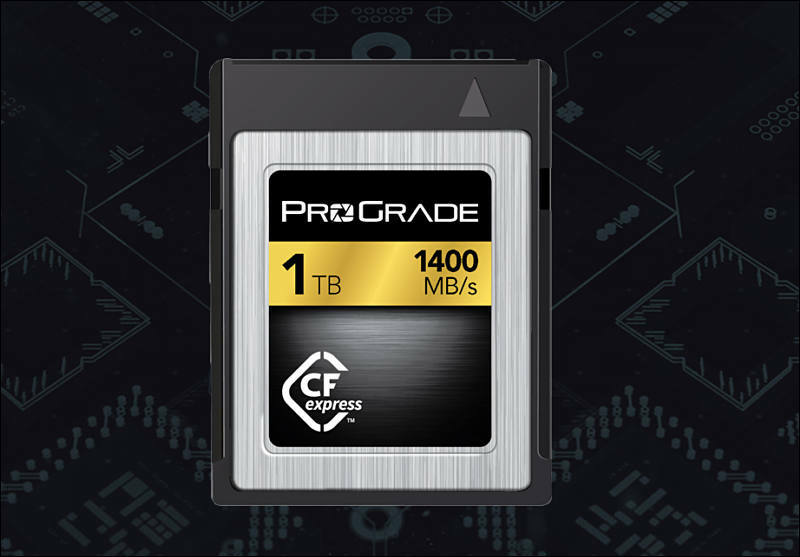 NAB, LAS VEGAS, NV -- April 8, 2018 1:00 am Pacific---ProGrade Digital, founded with a mission to provide the highest quality professional grade digital memory cards and workflow solutions, has become the first company to publicly demonstrate the CFexpress™ 1.0 technology with 1TB of capacity. Debut of this important next generation digital memory card form factor, presented by CEO Wes Brewer and VP of Marketing Mark Lewis at NAB in Las Vegas, provides solid proof that the industry is moving toward productization of this new standard. "The CFexpress standard has been evolving for several years within the CompactFlash Association as a successor to both CFast™ and XQD™ formats. We are pleased to be working within the CFA and aside device manufacturers to bring to market this next generation removable storage standard," said Brewer. "Industry adoption of CFexpress will allow for much higher resolution and higher bit rate image capture than ever before in many still image and video capture devices. Faster offload speeds will also greatly benefit the post-capture workflow through the extremely high read speeds it provides. With our demonstration today, we've also been able to show compatibility for the CFexpress Type B form factor with XQD memory cards--showing operation of both card standards in a common Thunderbolt™ 3 reader." ProGrade Digital demonstrated performance benchmark speeds exceeding 1,400MB/second and burst write speeds of greater than 1,000MB/second--nearly three times faster than CFast memory cards and more than four times those for SDXC™ UHS-II.